WordPress real estate websites are a game changer when it comes to fresh content. This is the story with many brokers and agents. A few years ago he or she created a website. It looked nice at the time. A neat little package of home listings and information about the company. The site ranked decently on Google and Bing for the neighborhoods they were farming. Not so much for the local market in general, but still showing up on the second or third page for searches. Life seemed good. The agent felt good about their website and ready to move on to other projects. Unfortunately, the internet does not work that way. For one, there are quite a few people watching your website. 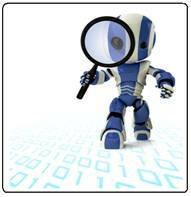 Not only people, but robots (search bots as they are more commonly called). Used to be in the old days, if you had content on your website that was relevant to certain keywords, say that neighborhood you are farming, your website would rank high in the search engines for those target keywords. However, things have changed significantly from the old days of search. Now Google and Bing have hundreds of factors they use to evaluate websites. And one of those factors that continues to receive more emphasis is what’s called a “recency” factor. In other words, how recent was your last update on the website? Web partners such as Home Junction Inc. offer several tools you can use when it comes to competing with others for the “freshness” factor. Google and Bing know that consumers want to see new, updated and current content. These are consumers raised on finding quick answers to their questions. Those consumers will reward the most current sites with more visits and time spent on those sites. The search engines know this. So they push those sites with fresher content closer to the top of the search rankings (although as we said, there are hundreds of other factors, including how many other websites link to a site and also the quality of those websites that link there). In the past, many websites gamed the system by stuffing their pages with target keywords to gain ranking positions on Google or Bing. Many of those sites weren’t built by companies in the local market. Then the owner of those websites moved on. Either to create similar sites in other markets for target keywords. Or to capture leads for businesses in those markets. But how helpful are these sites to consumers? Google and Bing determined that if these sites are not updating their content with fresh information, then they aren’t very relevant to consumers today. They don’t like stale websites. Fresh content? Sounds easy. But like baking donuts, we all know that a baker has to get up early every day to keep his products fresh. This is where Home Junction comes in. There are ways to make the process of creating fresh content easier. Let’s start with the website itself. How outdated is your web platform? Was the site created a few years ago? Is it clunky? Difficult to change? Do you need to contact a web developer to add fresh content? Is there a long, cumbersome process involved in adding text, photos or videos? If there is, it’s time to ditch the platform. Switch to WordPress real estate websites. WordPress is the leading content management software on the planet. It was designed for bloggers to make it easy for the average Joe and Jane to add text and images to their website. (As a side note, the website code was written for those bots to easily decipher the purpose of the website, which both search engines love. If a bot was capable of love). The platform then evolved into creating full websites for businesses but with still all the efficacy and ease of the original blogging platform. Many top brands use WordPress for their content. They include Bloomberg, Disney, Variety, The New Yorker and thousands of others. With WordPress real estate websites, you can easily go into the administration panel, cut and paste some content into the text box, or write an article or blog directly on the website. There are controls there to make the text bold, italic or underline it. You can easily add hyperlinks to other pages on your website or link to relevant outside websites as a resource for your readers (which by the way, is another factor Google and Bing use with their ranking algorithms). Bottom line – WordPress is the fastest way to add fresh content to a website. A task of updating a website requires consistency, and a person certainly doesn’t want to jump through hoops to do it. In fact, it’s human nature. The more difficult it is to accomplish a task, the less likely that task will be repeated on a consistent basis. But consistency with fresh content is a big factor for Google and Bing. They don’t just want to see you update your content every so often. They want to see a website that updates their content on a regular basis and will reward that website for their efforts (assuming of course, other ranking factors are being met). Ease of updating is one of the keys to providing updates on your website. The other is finding a source of new content. That’s where Home Junction also makes this task easy. Home Junction is a national and recognized provider of national real estate data that can be customized down to the local level. That real estate data includes: Property Sales, Market Trends, School Data, Business Listings, Demographics, Crime Data, Cost of Living Indices, Boundaries and much more. For brokers and agents, that data can be tailored to their specific markets – their counties, cities, zip codes and even further down to the neighborhood or subdivision level. That content is constantly updated. Talk about a resource for fresh content? By just adding a few lines of code, a broker or agent can embed a feed of this hyper-local data onto any page of their website. Got listings in a certain neighborhood? You can order all this data, charts on recent sales, trends in prices, etc., just for that neighborhood. A broker or agent can also use that updated content to blast out information on their social media sites – Facebook, Instagram, Twitter, Pinterest and LinkedIn. That relevant content will be liked and shared by people in those markets or seeking to move to those markets (social signals by the way, are yet ANOTHER factor that Google and Bing use in determining rankings. We told you things have changed dramatically). Those Google and Bing bots are hard at work every day scanning millions of websites on the internet. Give them something fresh to report back when they come to your evaluating your website. By switching to WordPress real estate websites with the right data and the latest plugins, brokers and agents can turn their old, outdated websites into powerhouses of fresh content.